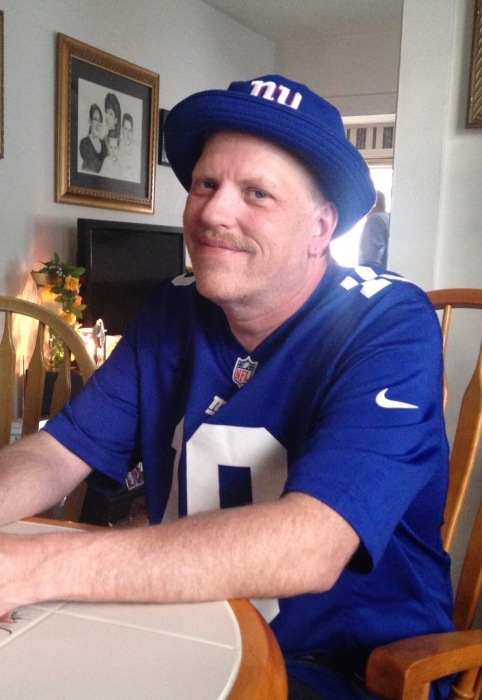 James Harold Wood, “Woodman”, “Jim-Jim”, age 52, of Napanoch, NY, passed away peacefully at Ellenville Regional Hospital, with his family and friends by his side on Thursday, June 28, 2018. He fought a long, hard, courageous battle with cancer for over 6 years. He was born on May 24, 1966 in Ellenville Hospital to the late Norma Jean Williams (Shamro) and the late Harold James Wood. He leaves behind his loving wife, Carrie-Ann, whom he married on September 27, 1997, his cherished daughter Kaitlyn Norma-Jean, his special Aunt Betty and Uncle Butch Distel, Aunt Joan Lewis, Aunt Carol Knapp (Fred), Uncle Don and Aunt Kathy Williams, Aunt Beverly Giaquinto, his closest cousins Ferne Distel and her children, Deputy Donald (D.J) Corso, Paige Cotto and Dylan Corso, Don (Candy) Distel and Chris (Jen) Distel, his cousins Vicki Forgette (Nicole), Ron Conklin (Tammy) Scott Conklin (Donna), Stephanie Zub-Schierwagen (Paul), June Beck (Dan) and Gina Knapp (Norman) and Diane Meinberg, his Mother-in-law Carolyn Schumm, Brother-in-law Gregory Thomas Schumm, his niece Madelyn Olivia Schumm, and his Step-Brother William Garlinghouse. Also left behind is his extended family, The Goughs, who he loved to be with just as much as anything else, who treated him as family. In addition to his parents, he was predeceased by his Paternal Grandparents, Becky and Earl Quick, Paternal Grandfather Harold Wood, Maternal Grandmother Ferne Payne, Uncle Don Lewis, Cousin Sherri Prokos, Infant Sister Betty Jean Wood, Aunt Gloria Buckler, and Step-Brother Edward (Butchie) Garlinghouse. Jim enjoyed several things in life. He was employed at Napa Auto Parts for several years, and before he became ill, he was a Home Health Aide. He loved the New York Giants, New York Yankees, Jeff Gordon #24, fishing, camping, car shows, shooting his rifles, driving his Jeep off road, hanging with the boys, and he truly loved his family and friends. Jim was extremely proud of his daughter, as she was the light of his life. He loved her more than words could say. His cat Cracker was his little buddy, following behind him at all times. He always put a smile on our faces with his crazy jokes, and how he told stories. His sarcastic and insane humor when he was around, his laugh, and his smile will be etched in our hearts forever. He will be deeply missed by many. An expression of many thanks to the Matthews Pharmacy family and staff for always taking care of us and making sure we had everything that we needed, even a listening ear. To his oncologist Alfonso Cutugno and his primary care physician Dr. Jagruti Gohel we share our appreciation, as well. A celebration of his life will be held at the Ellenville Assembly of God Church, 67 Canal Street, Ellenville, on July 7, 2018, from 2-4 PM. A short service of prayer will begin at 3:30. Please feel free to dress comfortably, or to even sport your NFL, MLB or NASCAR gear; even if it isn’t his team, he’d sure be happy to have everyone show their love of sports. In lieu of flowers, contributions can be made to his family for expenses, sent to Carrie-Ann Wood, PO Box 342, Napanoch, NY, 12458.